Johanna FuldaWhat’s up with Data Journalism in Canada? 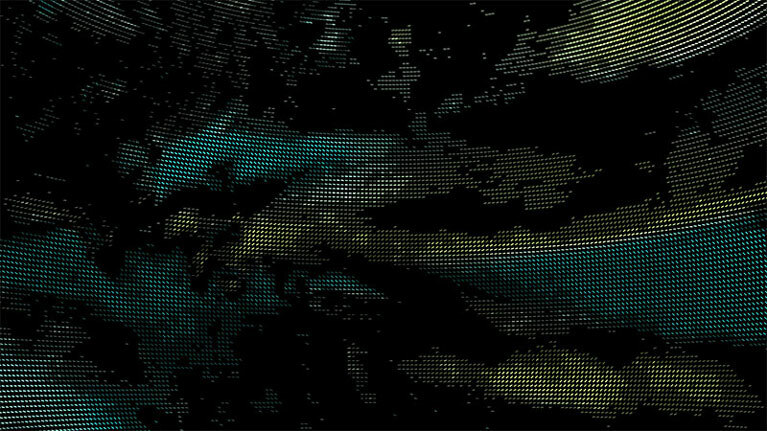 Computer-based visualization (vis) systems provide visual representations of datasets designed to help people carry out tasks more effectively. Visualization is suitable when there is a need to augment human capabilities rather than replace people with computational decision-making methods. The design space of possible vis idioms is huge, and includes the considerations of both how to create and how to interact with visual representations. Vis design is full of trade-offs, and most possibilities in the design space are ineffective for a particular task, so validating the effectiveness of a design is both necessary and difficult. Vis designers must take into account three very different kinds of resource limitations: those of computers, of humans, and of displays. Vis usage can be analyzed in terms of why the user needs it, what data is shown, and how the idiom is designed. 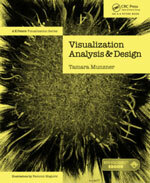 I will discuss this framework for analyzing the design of visualization systems. Online learning is a hot topic, but discussions often either fetishize new technologies or go weak-kneed at dreams of “scaling up” to reach audiences of thousands or millions. Yet learning is a fundamentally personal and human experience; it is more valuable (and easier) to connect real people to each other than to attempt automating topic-specific instruction and evaluation. Most designed environments for online learning are exercises in frustration; we need new platforms with interfaces that get out of the way, supporting a natural, collaborative “flow” attainable in physical classrooms but so far absent online. Drawing on my own experiences of online teaching as well as recent research, I’ll demonstrate several recent experiments in new media for learning and outline a vision for the first great human-to-human online learning experience. Learning Group, O’Reilly Media, OR, U.S. THE FIELD: The challenge of keeping abreast of the ever-changing face of data visualisation and reflecting developments in to cutting-edge materials. THE STUDENTS: Considering the diverse demands of academic teaching vs. non-academic training and handling difference in background, location, culture, and industry. THE ROLES: Discussing the need to teach for visualisation creators as well as for consumers, commissioners and coordinators. THE SETTINGS: Looking at the influence of conditions in teaching format (in person vs online), duration and dimension (large vs. small class, compact vs. modular). THE TEACHER: Reflecting on how my personal and professional development has influenced my teaching approach. Because information visualization is often taken for granted as a vehicle for communication, it is beneficial to examine the challenge of creating educational programs that fit the needs of a diverse and complicated range of disciplines found in the large research university. Much of the challenge to integrating information visualization as a theoretical subject, a process and a product is created by differences found in disciplinary methods and languages and in often inaccurate preconceived notions that underestimate the role of visualization as a thinking process. In the large research university, interest in information visualization is found across the full spectrum of disciplines. This paper proposes how to integrate visualization as a knowledge area that crosses boundaries and connects disparate disciplines. In the process, the use of visualization to conceptualize; to discover possibilities; and to communicate with widely varying stakeholder groups from all corners of the institution will be demonstrated. Inspired by the WikiEdu Program, we proposed our students to create a diagram for a Wikipedia article. The WikiEdu Program is simple and effective: as assignment, students must improve a Wikipedia page related to the course’s topic. By doing so the students develop writing skills and critical thinking, producing something valuable for the whole community. We saw a great potential in bringing this kind of assignment in graphic design education: students can engage with specific visualization problems, and collect a substantial feedback on the functionality of their diagram designs. This experience stressed the different consideration received by images and diagrams with respect to texts on the online encyclopedia, and allowed a reflection on the role of designers in the knowledge production process, as well as on the meaning of producing “open” contents, which are meant to be improved by other people. 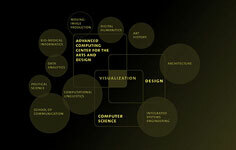 Many design programs are in the midst of major shift in mindset from teaching design as a series of discrete artifacts intended to solve easily identifiable problems to approaching design as a practice of understanding integrated systems, that include artifacts, but that encompass complex social, cultural, technological networks. To provide an introduction to systems thinking, and challenge students to dismantle entrenched conceptual models, we required our second-year Information Design 1 students to read Fritjof Capra’s The Systems View of Life: A Unifying Vision. Students were to select one chapter from which they would generate visualizations. They could extract the data from the text (chronology of scientists, movements) use the text as data (word counts, paragraph structures), or diagram key concepts (mechanistic worldview, reductionism). The widely variable results of student work from this project revealed gaps, in curricular content, teaching strengths and students’ skills acquisition. In Winter 2016 we taught a course that looked beyond visualization basics and fundamentals and introduced bio-inspired design as a tool. 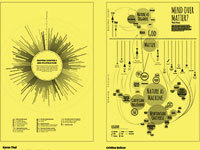 As global interest in visualization expands exciting new research is emerging in many facets of visualization. One of these new directions draws from the incredible successes in engineering, where improvements in many directions including forms, functions and processes are resulting from leveraging the examples from biology. This has become known as biomimicry or bio-inspired design. Multiple examples of biomimicry can be found in Zygote Quarterly (http://zqjournal.org/), a journal co-founded by the author to explore this rich area. 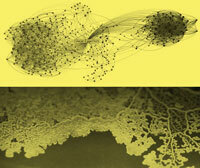 The core of this course was focused on the idea of making use of a biomimetic approach in visualization. 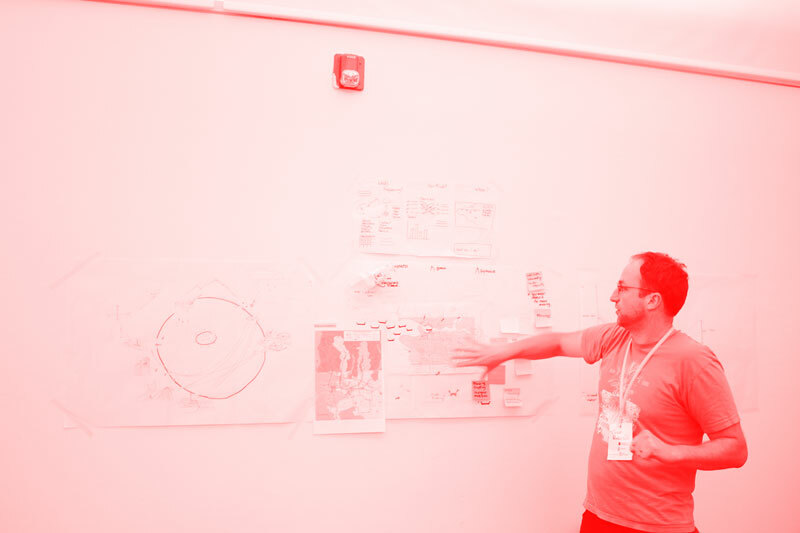 The course was set in examples of advanced visualization topics from a broad range of visualization applications so students could draw from multiple disciplines. This 5-minute lightening talk will report on the course exploration. 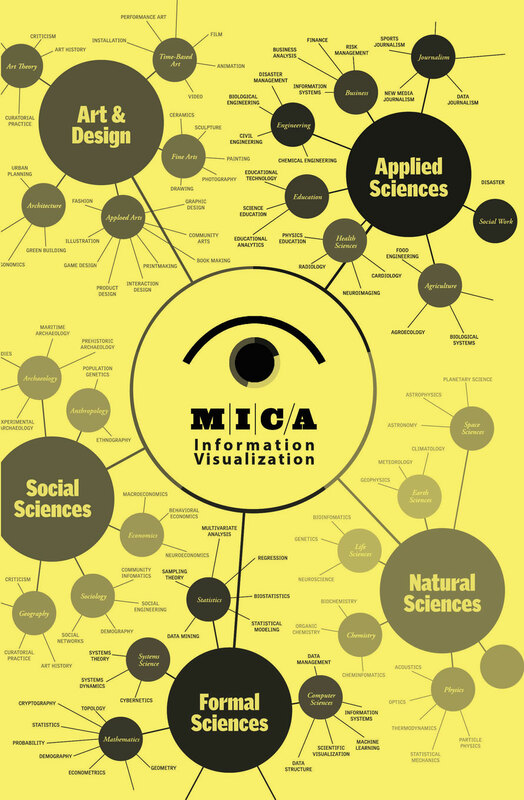 Now in it’s fourth year, MICA’s Information Visualization graduate program has become a balance between theory and application, academic and industry, and online coursework and on-campus residencies, with design as the fulcrum. I will discuss the evolution of the program, particularly how the on-campus residencies have transformed from a series of workshops and team building exercises into pre-engagement and assessment opportunities for the program; how residencies integrate into the online coursework and professional development of the students; and how the cohort becomes a community during the program and beyond. The BMJ (formerly the British Medical Journal) now uses infographics and data visualisation to help time-pressured doctors to understand key messages from increasingly data-rich and complex health research articles. As the world of scientific publishing is increasingly driven by impact of research, these visual methods of succinctly presenting key findings have many advantages. They are used to transform data from research papers, investigative journalism and policy guidelines into rich, often interactive visual pieces. This talk will examine the design process used to create these graphics - from raw copy submitted by academic authors and journalists, through roughs and ideation, negotiation with authors, to realisation, coding interactivity and publishing the graphics. It will also examine some of the technologies available for producing data graphics for web and print, and discuss their relative advantages and disadvantages. From the moons of Saturn to the double helix of DNA, scientific discoveries from all ages are associated with memorable, iconic images. These images communicate in ways that text cannot, making difficult, complex concepts accessible. Discoveries today occur at an astonishing rate: scientific output doubles every nine years. Given this flood of information, first impressions count, and the overview figure is critical in shaping that first impression. Here we examine how visual design impacts the overview figure. Our team tested ten original and re-designed figures with scientific readers. The results show that figures designed in accordance with classic visual principles significantly enhanced readers’ first impressions of a paper. Improved figures made the associated articles seem more interesting, more clearly written, and more scientifically rigorous. These results confirm the value of visual design, and establish that aesthetic appeal enhances rather than detracts from the perception of intellectual and scientific competence. In this talk, award-winning data journalist Chad Skelton will explain how to design interactive maps and charts that engage and excite the general public. Chad will discuss the process behind visualizations he has created on topics as diverse as crime, income inequality and organ donation. He will show how news principles — like the "lead" on a news story — can be applied to data visualization. And how letting users see themselves in a data visualization is one of the best ways to help them care about the data display. Airbnb is discussed controversially in many cities. Combining design and journalistic methods we created a report about data we gathered from Airbnb’s API. We launched the report as a website (airbnbvsberlin.com) and it not only attracted many visitors, but we were also confronted by many people who contacted us explaining their opinions, fears, thoughts, and experiences. All of a sudden we were approached as experts on the field of housing, targets of pro-Airbnb parties, and hope of anti-share economy formations. 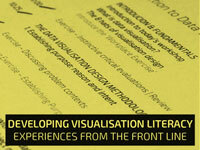 The project helped us forming a new perspective on the role of data visualisation and the designer. Not only does the presentation of the data affect the message, but also the creator of the graphic becomes subject of interest. In this talk we would like to share our concerns we had during the process, our experiences with the release, and the results of the ongoing engagement with the topic. We explore the importance of subjectivity in personal data-driven storytelling. The enormous amount of data people now collect about themselves is creating new opportunities for data-rich storytelling, not just for journalists, but also for individuals. However, unlike data-journalism, everyday personal narratives are often subjective and storytellers omit, invent, or embellish details in order to craft engaging stories or communicate a perspective. As new tools allow us to leverage data to create personal stories, can they still support expressing subjectivity? We discuss the role of subjectivity in data collection, processing and representation. Based on these reflections, we suggest potential benefits to introducing subjectivity in personal visual storytelling. We illustrate a spectrum of increasingly subjective visual storytelling methods — from purely algorithmic mappings, to simple customization, to free-form sketching — using examples of personal narrative visualizations from our own work and that of other visualization designers. 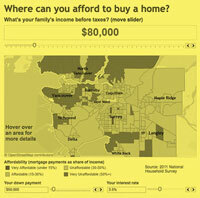 The concept was simple: where you live determines how much your arm is worth. But the data was anything but: 50 states, 13 body parts, a different dollar amount assigned to each arm, leg, or big toe that is seriously injured on the job. While the system of workers compensation in the United States is disjointed and complex, we wanted our data visualization to be clear, intuitive, and effective. Our solution was to take advantage of the most ready metaphor and something our brains are wired to distinguish easily: the human body. For each state we built a human figure, visually similar to the chart of beef cuts sometimes shown in butcher shops. 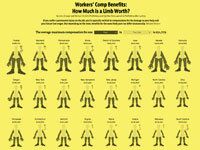 By allowing people to quickly scan rows and rows of human forms – each body part sized according to how much the state pays in compensation benefits – the interactive graphic conveys at a glance the arbitrary and preposterous discrepancies in state benefits. Lose a thumb in Kentucky? You’re entitled to a maximum of almost $200,000. Happen to live in Rhode Island? The top payout is $13,500. In this short talk Lena Groeger will explain the imagining, designing and building of a data visualization on insurance that became an unlikely viral hit. The more specific your goal, the more laser-focused you can try to achieve it. But what are your goals, exactly? The goal of this lightning talk is to make you think about the goals of your field and how/if to achieve them with data visualizations. I choose journalism as an example field. The field of journalism suffers from having ambiguous goals. Generally speaking, institutions in the field combine answering the questions “In which kind of world do we live?” and “What’s new?”. This second goal, newness, is a dangerous one: it favours current information over important ones and therefore works against the first goal. 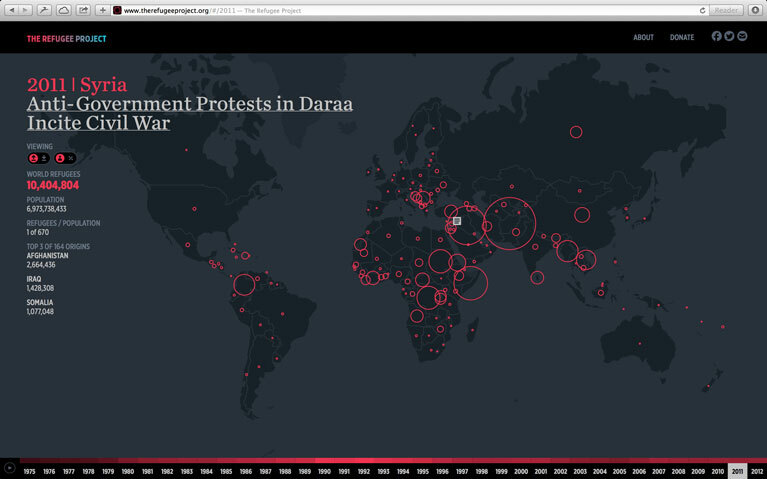 I will argue that data visualization can provide an additional perspective and increase understanding of current news; but that data visualization is most important in its role of setting news into context, to offer a more honest view of the world. 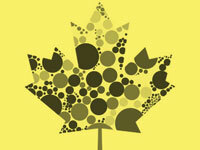 What’s up with Data Journalism in Canada? When I use a bar chart inside an article, is that data journalism? No? What if it is an interactive bar chart? 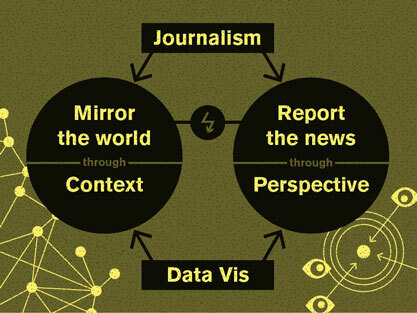 How much data has to be inside journalism to be classified as data journalism? Though there isn’t one final definition, there are some guidelines. To find out how Canada stacks up against its big neighbour and other countries we took a look at award winning data projects submitted to three main journalism associations. Together with researchers at the UBC School of Journalism we looked at how teams are assembled - is it only editorial people or are data analysts, designers, developers, or project managers on board? What techniques do they use most often? (Spoiler alert: it’s maps.) How can readers interact? All in all we found that Canada, like most other countries in the world, still has a way to go - but it is on its way. This talk introduces a design method built on three concepts: The cognitive thread, interaction and the visual query. 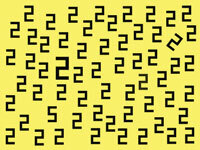 The cognitive thread refers to the sequence in which ideas occur and what determines this sequence. When we watch a compelling visual presentation, our attention is being carefully lead by the presenter so that the patterns we see and the words we hear lead us to a series of planned conclusions; the presenter is controlling the thread of our cognition. When we explore a static data visualization we are (mostly) cognitively in the driver’s seat, we set the goals and control the cognitive thread. We decide which information leads to follow. When we explore data interactively we intermittently give control to the computer and let a piece of software control the thread. In this case the cognitive thread is distributed, as in a conversation between two people. A visual query is a visual pattern search designed to advance an analysis. Visual queries are embedded in the cognitive process, the results of a pattern search will often alter the cognitive thread. In this talk, I will argue that a way of optimizing graphic design (how data is transformed to graphical marks) is to optimize for visual queries. A way of optimizing the design of an interactive visualization system is to think of the best division of cognitive labor between human analysis and computer calculations and how the transitions between them can be achieved through user interactions. Director of the Data Visualization Research Lab. Center for Coastal and Ocean Mapping, University of New Hampshire, NH, U.S.
Communities are swimming in data—demographic data, participation data, government data, social media data—but very few understand what to do with it. Though governments and foundations are creating open data portals and corporations are creating APIs, these rarely focus on use, usability, building community or creating impact. So although there is an explosion of data, there is a significant lag in data literacy at the scale of communities and individuals. This creates a situation of data-haves and have-nots. But there are emerging technocultural practices that combine participation, creativity, and context to connect data to everyday life. These include citizen science, data journalism, novel public engagement in government processes, and participatory data art. This talk surveys these practices both lovingly and critically, including their premises, aspirations and the challenges to creating citizens that are truly empowered with data. Assistant Professor of Civic Media and Data Visualization Storytelling, Journalism Department, Emerson College, Boston, MA, U.S. Research Affiliate, MIT Media Lab Center for Civic Media, Cambridge, MA, U.S.
Data are local: made by people and their dutiful machines, at a time, in a place, with the instruments at hand, using limited resources, to reach disciplined audiences. 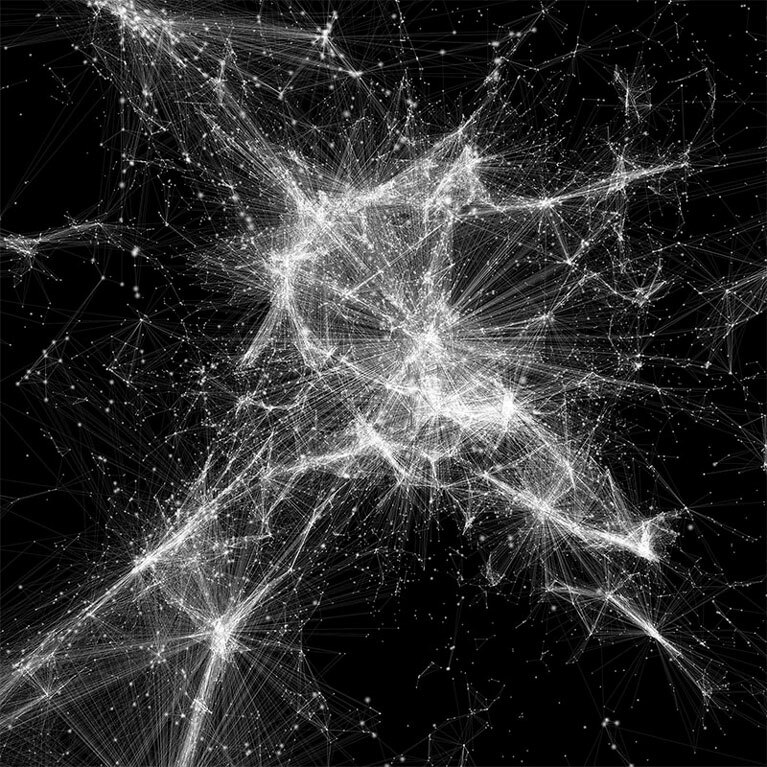 Although they are reliably transferred across digital communication networks, everywhere data remain marked by local artifacts: traces of the conditions and values that are particular to their origins. Even big data—a term that valorizes the scale and perceived autonomy of today’s data practices—are no more than aggregations of local knowledge, grounded in and inseparable from their social and material beginnings. This paper argues that we should learn to look at big data as data aggregates: collections of local data with varied and discordant infrastructural ties. In other words, if we are to fully understand the opportunities and pitfalls of big data, we must begin to see both the forest and the trees. How do we read pie charts? Look at any number of books, and they will tell you that we look at the central angle of a slice. That is important, because it means that removing the center (like in a donut chart) will lead to less accuracy. But it's not true. And worse, this question hasn't been studied since 1926 – ninety years ago! 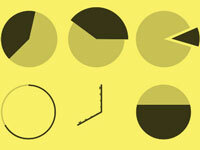 We have recently conducted experiments to look into how we actually read pie charts. We designed deconstructed charts – only angle, only arc length, or only area (and also some combinations) –, and asked people to tell us what value they thought they represented. Angle alone turned out to be the least reliable, producing the largest error. Area and arc length are at least as important. This talk will present our results and discuss design implications for things like exploded pie charts and other variations that are common in information graphics. In the seminal article, “The Earth is Round (p < .05)”, Jacob Cohen (1994) criticized the nature of statistical probability and the methods in which it is presented to other researchers society at large. The author put into question the (still) dominant procedure of null hypothesis significance testing, as well as the syllogistic reasoning behind maintaining that widespread adoption across empirical studies. Cohen and his successors championed for dynamic visualizations that would allow interactive exploration and engagement with data, rather than approaching statistics in a purely passive manner. The proposed paper wishes to address the complex and confounding nature of statistical literacy in the now maturing area of information design through the lens of active (e.g., data visualizations, information graphics) and passive (e.g., statistics calculations, power estimates, effect sizes) transfers of data. Creative works involving data should make even greater attempts to de-emphasize statistical assumptions, and utilize descriptive visualization strategies that limit the assumptions the audience may encounter when interacting with information design artifacts. 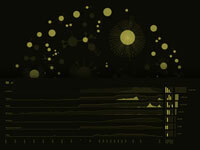 Data visualization and data analysis hold a lot of power in the current context. With the growing availability of tools for both, there is not enough discussion about the ethics and embedded world views that are involved in these tools. Making implicit cultural assumptions about what is included in the data and the visualization can lead to serious problems when the assumptions go unchecked. The design can end up being biased, incorrect or disempowering. Understanding the context that gives rise to the data at hand is an essential first step. 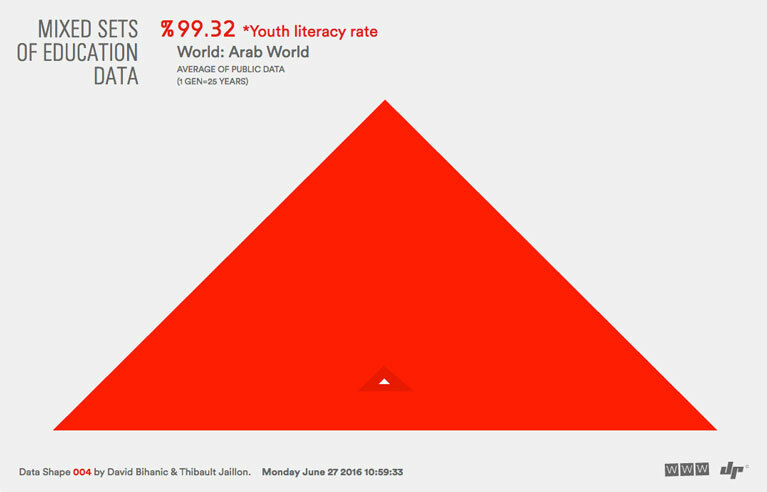 Then, when designing a visual expression of the data, cultural assumptions about the direction of time, visualization of high or low, good or bad, misunderstanding of the complex nature of the data, and basic issues of literacy can all get in the way of an effective and appropriate design. I’ll share experiences I’ve had working on data & information design on projects in Bangladesh, Ghana, Papua New Guinea & others. Since the 1980s, Natural Sciences challenged educational institutions and media to keep the society on an appropriate level of knowledge and understanding (Budmer 1985 and Wyne 2001). 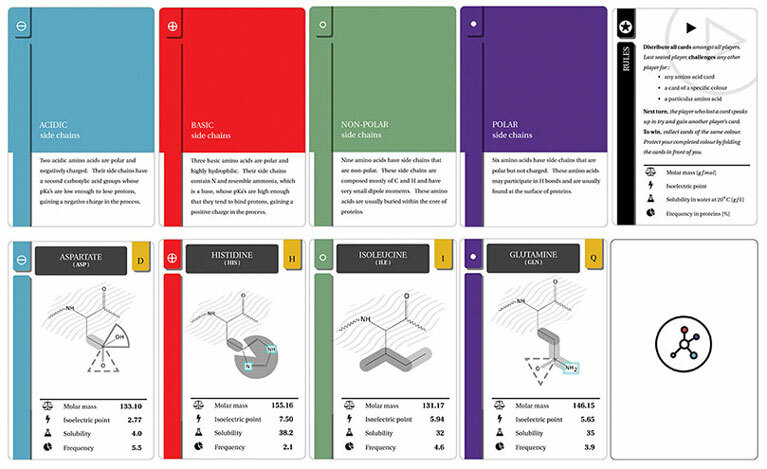 By investigating the potential of infographics, graphical design and game motivation, we propose a mnemonic card game based on creative design to aid the learning of a special group of biomolecules, amino acids. Each amino acid (aa) is composed of a number of features. The latter are intuitively encoded into shapes, colours and textures to assist our abilities in interpreting visual stimuli, hence recognising such features, grouping them, noting relationships, and ultimately memorising the structural formulas (Bitterman 1965). This approach serves as a teaching tool for subject-oriented card game designs to help students retain relevant information (i.e. 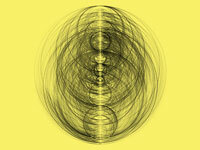 aa properties and formulas) by using perceptual memory and fun. This work establishes a connection in such a way that design is at the service of the public. Project Ukko is a visualisation interface developed as a part of a design study on potential applications of seasonal to decadal (S2D) climate predictions, that presents a novel solution to the informational challenge of putting probabilistic information into usable form for decision makers in industry. In Project Ukko, an information-rich, highly scannable interactive map represents prediction skill, wind speed, and change in wind speed in multi-dimensional glyphs; and a novel visual device (probability cone) communicates distributions of probabilistic prediction values. This interactive visualisation enhances the accessibility and readability of the latest advances in seasonal wind speed predictions developed through the RESILIENCE prototype of EUPORIAS, a project aiming to increase the resilience of society to climate change by supporting the emergence of a S2D climate services sector. Here, we account for the design decisions, and an extensive process of domain characterisation, through which the domain and problem came into focus. Contemporary information and wayfinding design often disregard the changing personal circumstances and mental state of the user. This paper explores concepts and methodologies in user interface (UI) and user experience (UX) design to increase retention and memorisation through a focus on the recipients’ individual context, mental state and abilities. In an emergency, visual perception and situation awareness may be restricted due to the impact of sensory symptoms (panic, tunnel vision or limited motor skills), thus calling for a linear course of action to enable the user to concentrate at the task at hand. An applied research project will be shown as an exploration of these issues. Floodscape is a mobile application designed to educate its user about inundation zones resulting from a tsunami in their communities. The Anti-Eviction Mapping Project shows how visualization practice operates within networks and assemblages and attest to how visualizations are more than artifacts. To analyze this premise a framework will be derived from a bridging of actor-network theory with assemblage theory. We will see how visualizations are productions that involve affect, performance and multiplicity as well as cognitive and material dimensions. It will be argued that this way of describing visualizations offers a rich framework to look at info viz in general and critical visualization practice in particular. As a result, through this analysis, critical visualization practice will be presented as a practice that attends to the human and nonhuman connections made in the visualization process. Territorial conflicts are organized opposition of parties that disagree on territorial issues and that can affect the social, cultural, economic, environmental or heritage aspects of life of a given community. 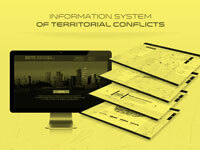 The project that we are presenting is an Information System of Territorial Conflicts (SICTE). The objective of our project is to concentrate, process, manipulate and organize data from different sources (such as people who is involved in conflict, media, official documents and social networks). We consider that information socialization is crucial, since conflicts are part of the social, democratic and political life of a country. Through this project, we are inviting civil society to understand and manage their territory, take an informed posture and communicate with governmental authorities. The challenge is to integrate the information categories in a digital format that has to be accessible, relevant, understandable and usable for the different actors of the conflict. The Revolving Door of Power is an interactive data visualization about the executive power in Chile, its connections with the private sector and its conflicts of interest. The aim of this project is to visually describe the transit of public officials from and towards the private sector. It is grounded in a research by Ciper-Chile that built a database containing information from people working in sensitive areas of the public sector, including ministers, secretaries, mayors, etc. 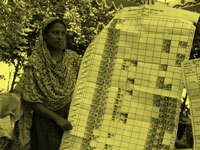 The labours records are categorized into three sectors; public, private and NGOs. The purpose of this visualization is to detect potential conflicts of interest together with showing which areas are more connected between different sectors and, therefore more exposed to conflicts. Finally, the platform enables to keep updated the database which constitutes this project in a tool of inquiry while it contributes to transparency in Chilean Governments. The health of complex ecosystems, like groundwater, depends on balancing dynamic elements. Because water in California moves around in a man-made infrastructure that effectively delinks natural availability from demand, it’s especially difficult to understand the interconnected relationships and behaviors of these elements. The sheer number of related components and density of data also add complexity. This case study explores how interactive data visualization and storytelling are being used to create tools to develop a sustainable groundwater management plan for California’s Sacramento Basin. Visualizing complex data over time reveals patterns of behavior that can explain how even small events have potential to cause significant effects in complex systems. Interactivity allows users to filter data and create new relationships that invite comparisons, raise new questions, and provide alternative solutions. Stories bring life to causal relationships that otherwise remain hidden. Personalizing information and adding emotions make stories memorable and motivate people into action. The spotty cell phone reception on the Subway is a common problem for people living in New York City: only stray signals from aboveground let people access the network at certain places on certain lines.With the Subspotting project, we mapped this hidden phone network for the entire Subway and the four major carriers (AT&T, T-Mobile, Sprint, Verizon). 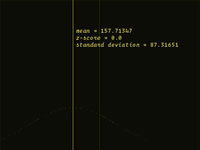 Using a custom iPhone logging app, we collected cell reception measurements in two second intervals. After enriching the resulting data with context, we turned to visualization: the results are an iPhone app for offline access of the data and two posters - one providing a direct linear comparison of the various lines and providers and the other showing a geographic overview. In this lightning talk, I will give an overview of the project and present our lessons learned from going through the full data-driven process: collecting, cleaning and visualizing a unique dataset. In this study I am looking into representative information design materials that were produced in the XIX century in Mexico when the railway system began its construction. It starts from the previous ways of transportation, such as the Mexican litera (bed) and the carriages, the first train inaugurated in 1873 that ran from Mexico City to Veracruz, and the extension of the system throughout the country. The study explores three main facets: why the railway changed people’s perception of time and space; the railway as a promoter of tourism; and the organization of graphic materials that workers created for the archive which now houses 214,000 documents. The archive includes construction plans and maps, machinery building specifications and other descriptions. Various information design materials will be presented, such as maps, bridges construction plans, training manuals, first printed guided tours, and train passes. Contemporary philosophers like Bruno Latour and Peter Sloterdijk see design as “drawing together.” A process of combining the already existing and by doing so creating something new. Once the design process is thought as such a synthesis, it can be regarded as a network connecting materials, knowledge and tools but also generations, groups, individuals and frames of references. Throughout multiple projects I have been capturing and collecting my steps from first sketches to the final visualization showing how these networks form. One of the insights which emerge by showing this processes is how human-made these diagrams are. Visualizations are not truthful representations of reality but rather cultural artefacts which reflect the tools which we are using to create them but to a greater extent they show our world views that we convey through these images. The process of mapping, projecting and scaling does not have one optimal approach but rather many equal approaches with different viewpoints. As cultural institutions are digitizing their assets, great opportunities emerge to engage with cultural content through novel means. However, it is the often comprehensive and complex nature of collections that can make it difficult to gain a sense of overview and orientation. We present the outcomes of two design studies, one engaging with an aggregated collection from diverse cultural institutions, and the other focusing on the specific features of a collection of school books. Both design studies involved iterative design processes with the collection owners leading to prototypical implementations of multiple aesthetically and interactively coordinated visualizations. The resulting representations are experimental, yet playful overviews of the temporal and spatial distribution of objects and the associated topics, people, and organizations. In our presentation we discuss our method of involving collection owners into the design process, present the diverse resulting interactive visualizations, and discuss the two information architectures integrating the multiple views. With newsroom transitioning towards digital and 24-hour operations, there is increasing pressure to publish more and publish fast. The shift to mobile platforms confronts designers with limited display sizes and changing audience behavior. Consequently, journalists and newsroom developers often reject more sophisticated, information-dense, and interactive data visualizations in favor to quicker-to-produce static content forms. What might have been designed as interactive, animated visualization three years ago is now a simple list of static, annotated images, embedded in text. Why should newsroom developers test custom software on dozens of devices and platforms on deadline, when they can just publish images? 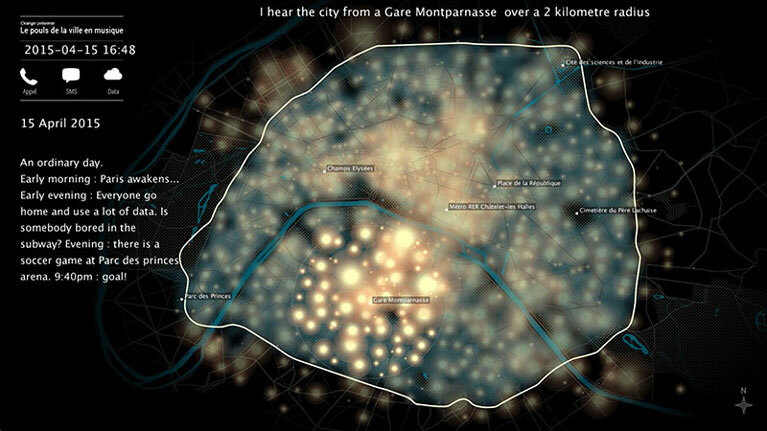 This talk walks through the situation of interactive data visualization in the news today. New York Times graphics editor, NY, U.S. In a world constantly in the grips of struggle over progress and autonomy, do we feel empowered to overcome, or powerless to change? Only when we dig through the complexities of conflict can we truly awaken ourselves to the reality of the situation. The project maps the aftereffects of the financial crash of 2008, looking specifically at the GSAMP trust 2006-S3 by Goldman Sachs Alternative Mortgage Products. Translating vast amounts of data held within the trust into architectural language: 18,000,000 square feet were defaulted, 8,274 mortgages were affected, and 23,000 people lost their homes, the project formalizes the effects of the American subprime mortgage crisis. 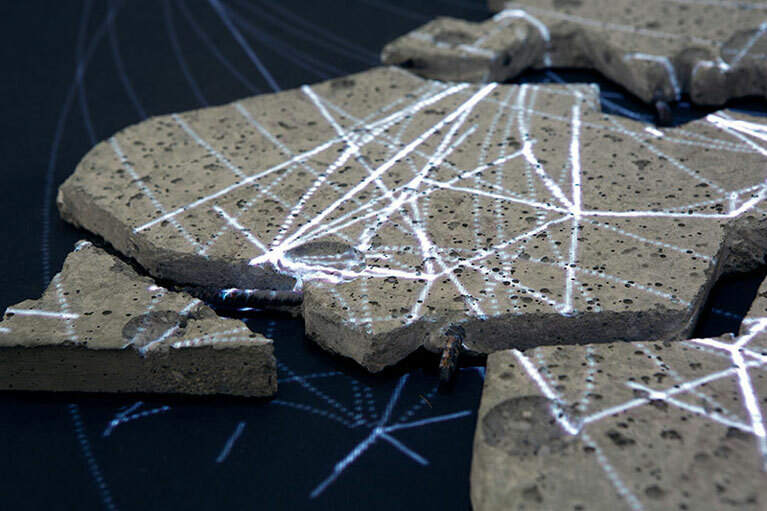 A visual study which explores the sociology of space (absolute, relative, relational, and topological) while projecting geopolitical data from the Heidelberg Institute for International Conflict Research onto a physical map of the world. The display creates different world views, emphasizing how notions of space are a direct influence on recent geopolitical events like the refugee crisis. A visualization of the rankings of the 100 most important companies in the world. Calculations are based on an average of four values: sales, profits, assets, and market value. Country icons represent both the percentage of these values and the number of companies per country that are listed as part of the TOP 100, while towering cones represent the number of companies per country in each industry sector. 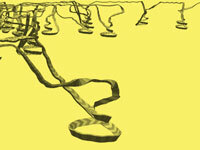 The result is a narrative which captures the dynamics of industry value on a global scale. 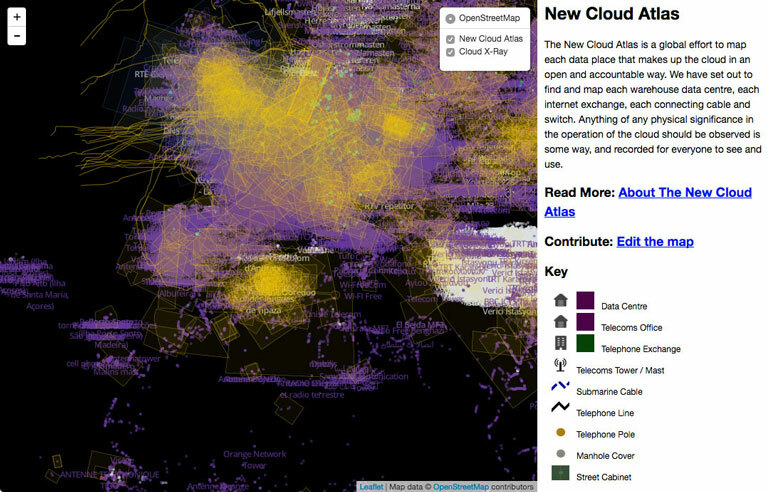 Strangely the space of the sky, while seemingly open and empty, is teeming with data and largely overcrowded. It is only when we bring what is invisible into the picture, literally, that we become aware of the overlooked ecosystem of our skies. The sky above us is full of debris: 166 million objects, fragments of rockets and satellites, paint chips and other man-made detritus are constantly in orbit. 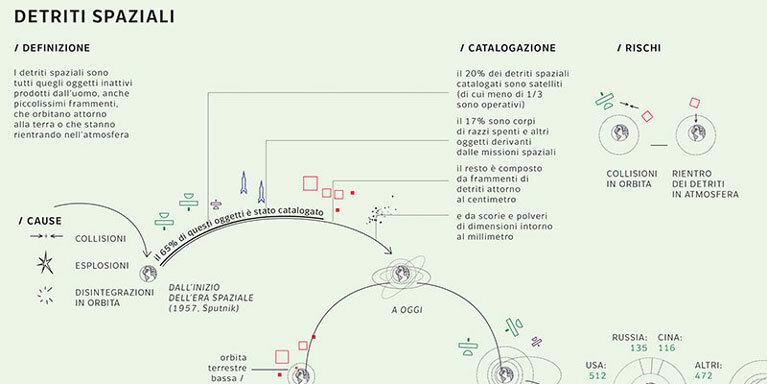 This layer of waste, which has been growing since 1957, is the focus of Bardelli’s visualization and infographic which meticulously catalogues the causes, classifications and risks associated with this collection of orbital waste. Catherine Ramus, Cezary Ziemlich, Pascal Taillard, Marc Brice, Orange Labs. Everything today is complex, from technology to social networks, financial systems to climate change, yet we continue to favour simple rules and certainties in our search for stability and security. To reset our relationship with the world we must welcome ambiguity; acknowledging the grey that exists between the black and white. A digital publication model for mass media communication of complex issues like climate change, poverty, and war. 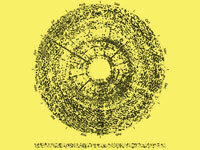 Designed in response to the tendency for binary simplification in contemporary mass media, the project explores alternative methods to inform users of the complex matrix of relationships created by vast amounts of interrelated information. The example explored here addresses the controversial topic of Canadian oil extraction and its economic, cultural and environmental impacts. 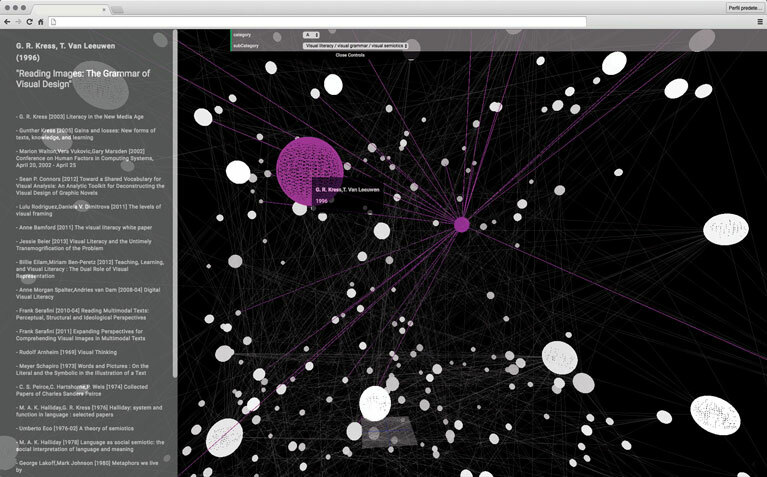 A prototype of a web application designed to visualize knowledge networks through parameters such as authorship, time, subject, discipline and connections between documents in a corpus. The work synthesizes data acquired from the collection reports produced by Zotero. 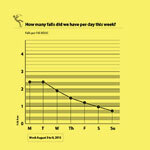 Links between articles are displayed by lines and time is displayed on the y axis. Future versions will include disciplinary affiliation and article information. Practice gives form to knowledge. It brings to life what we know, or what we think we know. Yet despite its value, it is difficult to formalize. Because of this we are left with very little feel for how it develops and works–blind to the connections on which it depends. What Does Democratic Design Look Like? 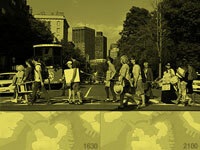 A visual study that explores pivotal developments and connections in the evolution of participatory practices, beginning from the U.S. Civil Rights Act of 1964. 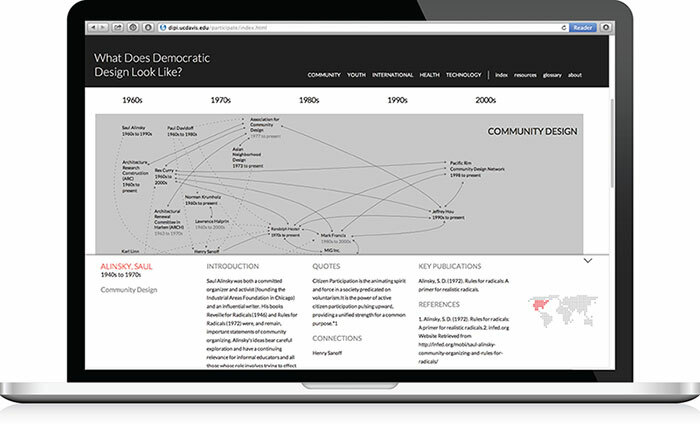 The timeline’s visualization illustrates connections between key individuals, organizations, projects, writings, and social/cultural events across five decades and disciplines—community design, youth development, international development, public health, and technology development—to reveal key relationships and the changing historical context of the work. 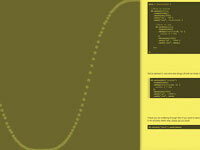 A Visualization of the book How Fiction Works by James Wood. 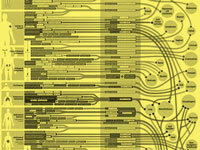 The design rearranges all of the book’s references into a timeline of titles, based on date of publication. Each book or story in the timeline also includes its first sentence or phrase. A red, numbered path tracks each vignette, linking to the texts discussed within. Although each vignette can be seen and read individually, it is the visual jumble that defines the spirit of the piece. A card game based on the natural ability of the human brain to interpret visual stimuli. The cards translates complex molecular structures into visual formats that are both easier to assess and to understand. The result is a unique teaching tool that is not only subject-oriented, fun and engaging, but also helps students retain relevant information such as properties and formulas through perceptual memory. What are we to do with the abundance of data that exists in the world? How are we to translate data into information and better yet knowledge? Information Everything takes as its starting point the following apparent contradiction: On the one hand we are witnessing a wealth of data collection driven by massive computational powers that are shaping the world we live in. On the other hand, there is a lack of understanding of how to turn that same information into knowledge we can think with and use. Curated by Gillian Russell (independent curator, PhD candidate in Design, RCA, London) and Katherine Gillieson (Associate Professor, Emily Carr University of Art + Design), Information Everything will explore how a range of practitioners dealing with information negotiate visual languages to support discovery and communicate abstract and complex information. 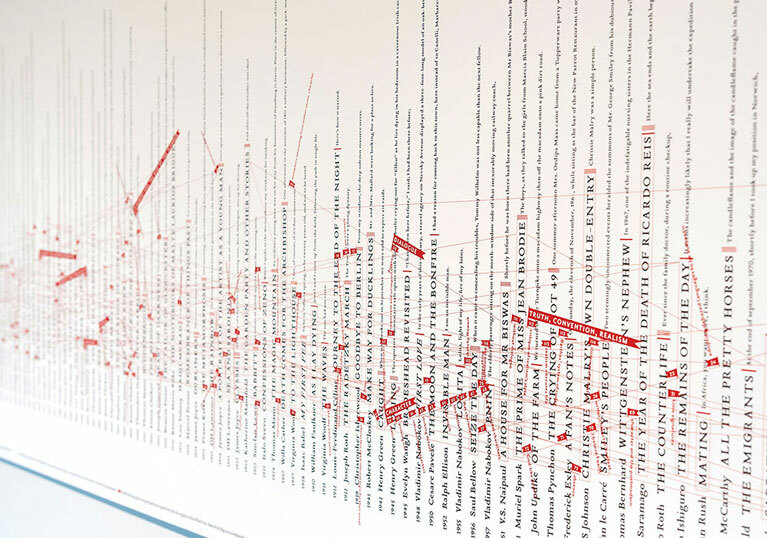 The exhibition includes the work of practitioners, researchers and students who explore and investigate the qualitative dimensions of displays of information, questioning our preconceived understanding of data as an objective representation of the ‘real’. The work presented includes design and visualization projects from around the world, in media ranging from small screen-based graphics to large-scale installation. The pieces communicate and reflect on themes as diverse as science, culture, society and technology, accentuating the breadth and range that contemporary work in this field has achieved. Guided by the question, ‘how do we turn data into knowledge we can think with and use?’, the show is divided into four devices each intended to express, orient, represent or secure the gestures of the works exhibited. 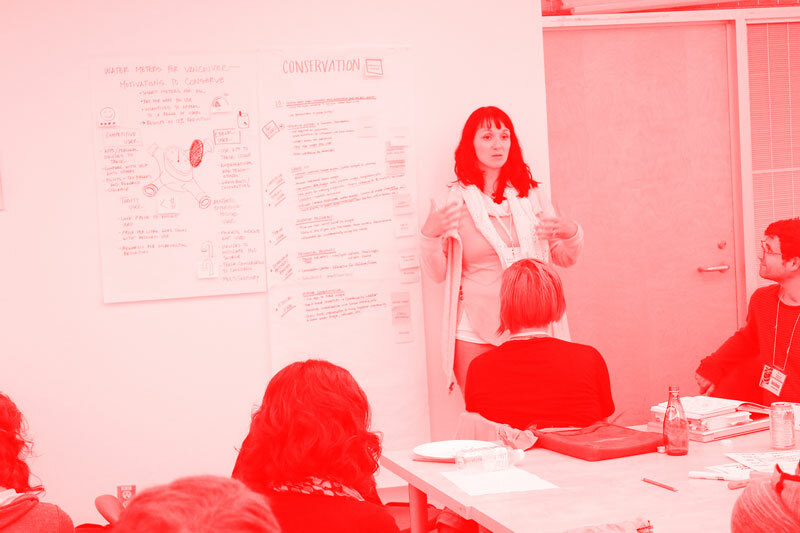 On June 18th, practitioners, educators, researchers and designers came together to participate in the Information+ Workshop. The workshop challenged participants to consider the following question: As population growth and climate change put greater pressure on our water resources, how can information design and data visualization create the shift in perception needed to recognize our city’s water conservation challenge? This fast-paced one day event kicked-off in the morning with a large group brainstorm of various issues and challenges related to water conservation. The participants considered how we might educate citizens through data visualizations about where water comes from, what it is used for, how much is used, how much is available and how it can be conserved. After generating a profusion of ideas, the participants formed small groups based around a design idea they wanted to explore for the day. Participants were encouraged to explore a wide range of formats including data journalism, digital or interactive visualizations, infographics, campaigns, and public installations. The workshop was facilitated by Health Design Lab Director Caylee Raber in collaboration with data visualization experts Chad Skelton and Catherine D’Ignazio, who also provided introductory tutorials to DataBasic and Datawrapper to the participants. 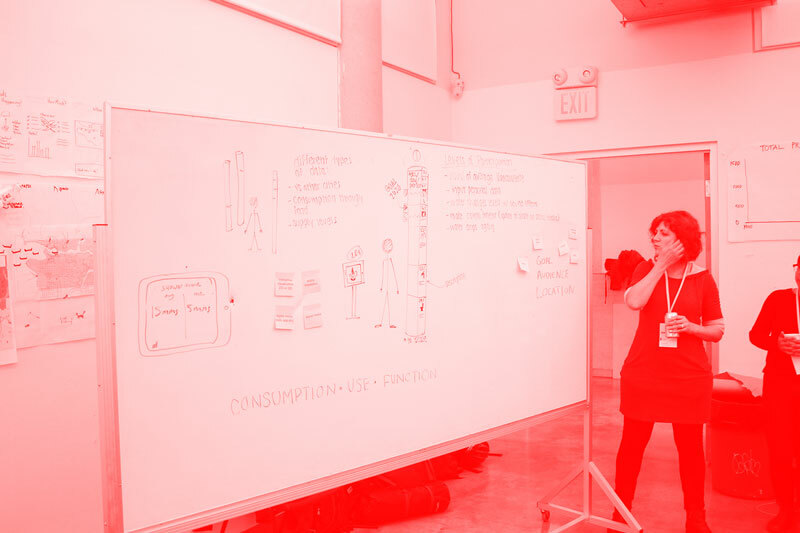 Throughout the day, fueled by coffee, food and a lot of post-its notes, the participants explored, manipulated and experimented with data visualization strategies and ideas. At the end of the day, each group presented what they had worked on and shared their ideas for creating civic impact and enabling behaviour changes. This event proved to be an excellent way to cap off the two days of learning at the Information+ conference and provided an opportunity to engage in active learning, allowing connections among practitioners, students, and educators in information design and information visualization to spark the development of a project in response to the brief. conceptA multi-media approach to help people think about the various systems used in water management. Using both qualitative and quantitative data to visualize our water system from source to end-use, this group wanted to encourage the public to consider the impact of water consumption from a holistic perspective. They conceptualized a large-scale multi-media project that would include a website, a public installation, a mobile application, and possibly a museum of information pertaining to water usage. Due to the large amounts of data available and the scope of the issue, this group felt they wanted the general public to see the system in its entirety through multiple channels, as opposed to showing only disparate parts. conceptA public installation and mobile application that encourages its audience to make a commitment to water conservation. The central component of this installation concept is a public installation in the shape of a large water tube that visualizes the average water usage of its audience. The user inputs personal data via a mobile application which calculates current individual water usage. With every conservation effort the user makes the water usage level drop, which can be shared on social media from this mobile app. The user is also able to challenge online friends to make a commitment to conserve water. The group envisioned the installation site would be outside the Vancouver Art Gallery and depending on the project budget, there would be either singular or multiple tubes on display. Another interactive aspect of this project includes the possibility of seeing how Vancouver’s water consumption measures against other cities, such as Portland or Seattle; this could be an available feature within the installation and mobile application. One more possible element might be to have two separate installation tubes; one representing Vancouver’s indoor water usage, the other representing outdoor usage. conceptBringing awareness to the impact separate sewer systems have on our level of water consumption and implementing a decentralized dual sewer system. This group chose to work through the current systems in place rather than through visualizing data. Their core idea was to introduce a decentralized dual sewer system that would collect the water from the roof of a house separately from Vancouver’s sewer waste system. This water could be reserved for outdoor use, which currently makes up 24% of our water usage. After doing research on similar systems, they discovered that the city of Vancouver is already planning to insert a dual centralized sewer system by 2050. Their proposition, however, is a decentralized city-wide system. This water could then also be collected for parks and emergency situations, but most of all they suggested it as a ways for residents to collect water and use it for landscaping purposes. 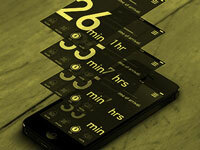 They also proposed a mobile application to visualize feedback from the system once installed. This could be visualized on a community or neighbourhood scale through the use of sensors transmitting data to an automated public installation, possibly in real time. conceptWater meters for Vancouver households to motivate conservation. Most Vancouver homes are not metered, though it has been shown that using meters can lead to 12% reduction of water use. This group proposed a program that would create incentives for its audience to install smart meters in their homes. These meters would connect to the user’s smartphone and automatically visualize household water usage data, breaking it down by day, and creating a competitive game with other smart meter users through a point system. This kind of game engagement could increase its potential for use in schools and also in large businesses. The data could also be displayed publicly, such as on large-format interfaces downtown or at bus shelters. This group considered several different personas or audiences and generated solutions for each user group. This included the Aesthetic User, the Ethical User, the Thrifty User and the Competitive User. For the Aesthetic User, they conceived a faucet add-on fixture which would indicate amount of water used. For the Ethical User, they conceptualized a mobile app to track usage and to promote conservation through social media. For the Thrifty User, they identified the need to focus on visualizing the cost savings of reduced water usage. Lastly, for the Competitive User they imagined a mobile app to track progress and compare or compete with other users through the point system. 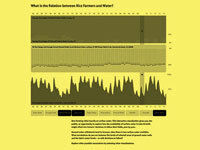 conceptThe Popsicle Problem: improve public awareness about water. This group’s concept was to use data storytelling to communicate a central issue about water supply and demand in Vancouver. The story begins with a line graph showing the total annual precipitation in Vancouver since 1940. According to the data aggregated by month, the audience would be able to see that in the summer, our water supply is at its lowest and demand is at its highest. The “popsicle” is a metaphor for this gap in our seasonal usage. The story continues to show that the reservoirs in the mountains, Vancouver's water source, are frozen during the winter months, our lowest point of demand. And in the summer, when these reservoirs unfreeze, the demand for water in Vancouver is at its highest, however climate change is shifting the balance of this system. From 2012 to 2015, the snow pillow depth has decreased drastically; the metaphor the group used for this is a “shrinking freezer”, for a surplus of the aforementioned popsicles. The story ends with the message that with this shrinking freezer and the growing demand for water in the summer months, our water supply will not be able to support our current level of water consumption. Through using data storytelling this group hopes to prompt further questions and awareness about water, as well as a better understanding of why we should be increasingly concerned with conservation in Vancouver. 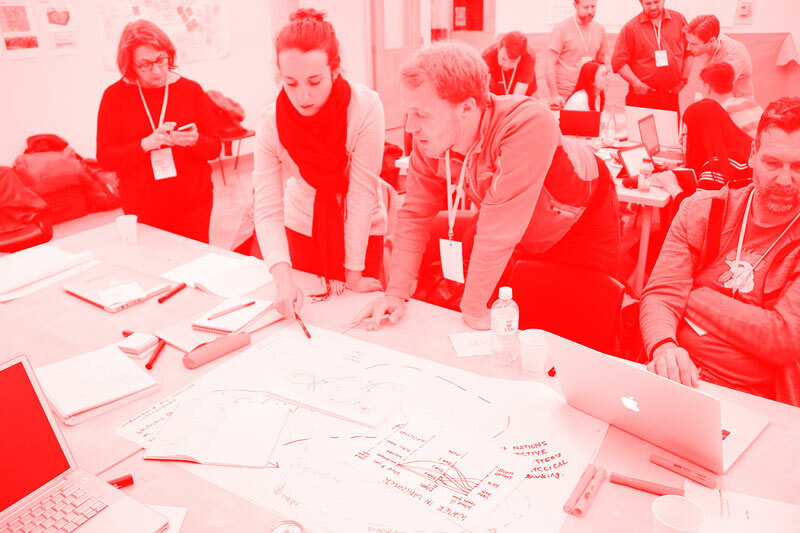 Information+ is an interdisciplinary conference, workshop, and exhibition aimed at bringing together researchers, educators and practitioners to discuss opportunities and challenges in information design and information visualization. 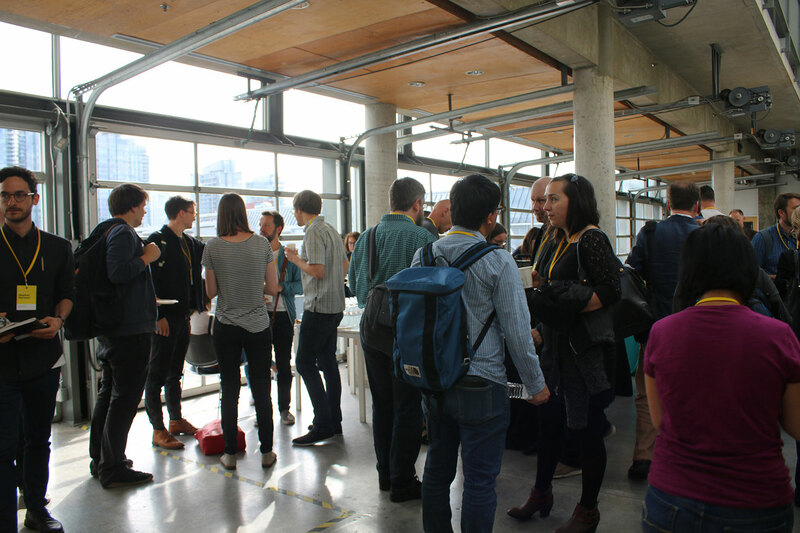 The inaugural Information+ was held in June 16–17, 2016, at Emily Carr University of Art + Design in Vancouver, BC, Canada. Our goal is that Information+ will be a biannual event. We will announce the 2018 edition in the near future. Information+ 2016 would not have been possible without the generous financial support from our home institutions, ECUAD and OCAD U, and from the Social Sciences and Humanities Research Council of Canada.